Welcome to the AC-119 Gunship Association’s Website! Dedicated to all who maintained, flew, and supported AC-119G “Shadow” and AC-119K “Stinger” gunships during the Vietnam War. Home of the 71st, 17th, and 18th Special Operations Squadrons and personnel who served in AC-119s. 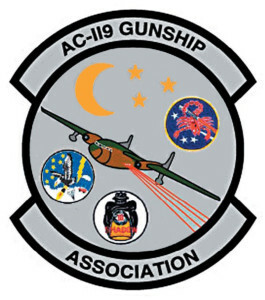 If you were assigned to, attached to, or supported the 71st, 17th, or 18th Special Operations Squadrons or their AC-119 gunship missions in any way, you are eligible to join the AC-119 Gunship Association. Print this to help you navigate our website: AC119 Website 101 for Dummies. If you have problems viewing some pages, read this: Browser issues.